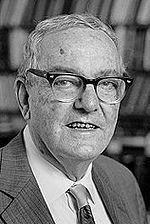 Herbert Alexander Simon (June 15, 1916 – February 9, 2001) was an American researcher in the fields of cognitive psychology, computer science, public administration, economic sociology, and philosophy (sometimes described as a "polymath"). In 1978, he received the Nobel Prize in Economics for his pioneering research into the decision-making process within economic organizations. His later work involved artificial intelligence, developing computer simulations of problem-solving. Simon was able to develop more complex models of economic decision-making by bringing psychological concepts into play, thus leading to models that more closely resembled human social behavior. Simon understood that although human intellect plays a key role in economic decision-making, emotions, unconscious drives, environmental distractions, and so forth, are also involved in the process. He brought many psychological variables into economic thought, leading to much more complex economic models, which were closer and more accurate representations of the full dimensions of human decision-making. Herbert Alexander Simon was born in Milwaukee, Wisconsin on June 15, 1916. His father, Arthur Carl Simon, was an engineer who had come to the United States from Germany in 1903, after earning his engineering diploma at the Technische Hochschule of Darmstadt. Arthur was also an inventor and designer of electrical control gear, and later in life, a patent attorney. Simon’s mother, Edna Merkel Simon, was an accomplished pianist and a third generation American. Her family had immigrated from Prague and Cologne, where her European ancestors had been piano builders, goldsmiths, and vintners. As a child, Herbert Simon was educated in the public school system in Milwaukee, where he developed his interest for science. He found schoolwork interesting, but rather easy. Unlike many children, Simon was exposed to the idea that human behavior could be studied scientifically at a relatively young age, due to the influence of his mother’s younger brother, Harold Merkel, who had studied economics at the University of Wisconsin under John R. Commons. Through his uncle’s books on economics and psychology, Simon discovered the social sciences. Among his earliest influences, Simon has cited Richard Ely’s economics textbook, Norman Angell’s The Great Illusion, and Henry George’s Progress and Poverty. In 1933, Simon entered the University of Chicago, and following those early influences, studied the social sciences and mathematics. His most important mentor at the university was Henry Schultz, who was an econometrician and mathematical economist. Simon graduated from the University of Chicago in 1936. Eventually, his studies led him to the field of organizational decision-making, which would become the subject of his doctoral dissertation. During the last year of his graduate study he met Dorothea Isabel Pye, whom he married on December 25, 1937. Their first daughter Kathie was born in 1942, followed two years later by Peter, and two years after that by Barbara. From 1939 to 1942, Simon acted as director of a research group at the University of California, Berkeley. When the group’s grant was exhausted, he took a position in political science at the Illinois Institute of Technology. Back in Chicago, he began participating in the seminars held by the staff of the Cowles Commission, who at that time included Jacob Marschak and Tjalling Koopmans. Simon began a more in-depth study of economics in the area of institutionalism. Marschak brought Simon in to assist in the study he was then conducting with Sam Schurr of the prospective economic effects of atomic energy. Simon received his Ph.D. in 1943. In 1949, he became the Richard King Mellon University Professor of Computer Science and Psychology, and a member of the departments of philosophy and of social and decision sciences. In the same year, when Carnegie Institute of Technology decided to open the Graduate School of Industrial Administration in Pittsburgh, Simon decided to move. From 1950 to 1955, Simon studied mathematical economics and during that time, together with David Hawkins, discovered and proved the Hawkins-Simon theorem on the "conditions for the existence of positive solution vectors for input-output matrices." He also developed theorems on near-decomposability and aggregation. Having begun to apply these theorems to organizations, Simon determined (around 1954) that the best way to study problem-solving was to simulate it with computer programs, which led to his interest in computer simulation of human cognition. While living in Pittsburgh, Pennsylvania, he advised the citizenry on various issues including the use of public funds to build stadiums, and the method of raising tax revenue. Simon emphasized the usefulness of the land tax, reflecting the early influence of Henry George on his economic thought. During the 1960s and 1970s, Simon published numerous works in the area of economic thought and decision-making. In 1969, he received the Distinguished Scientific Contribution Award of the American Psychological Association, for his work in cognitive psychology. In 1975, Simon was awarded the A. M. Turing Award of the Association for Computing Machinery (with Allen Newell). In 1978, he reached the peak of his brilliant career, receiving the Nobel Prize in Economic Sciences. In 1986, he received the National Medal of Science; in 1988, the John von Neumann Theory Prize of ORSA/TIMS; and in 1995, the Research Excellence Award of the International Joint Conference on Artificial Intelligence. Simon remained a professor at Carnegie Mellon University until his death in 2001. Herbert Simon was a true "polymath." He was interested in cognitive psychology, computer science, mathematics, public administration, economics, statistics, philosophy, and many other fields. He remains most famous, however, for his contributions to the areas of human cognition, artificial intelligence, and economic thought. Administrative Behavior was Herbert Simon’s doctoral dissertation and his first book. It served as the foundation for his life's work. The book addressed a wide range of human behavior, cognitive abilities, management techniques, personnel policies, training goals and procedures, specialized roles, criteria for evaluation of accuracy and efficiency, and all of the ramifications of communication processes. The centerpiece of the book, however, is the behavioral and cognitive processes of making rational human choices: decisions. Any decision, claimed Simon, involves a choice, which is selected from a number of different alternatives. The way we make choices is influenced by the environmental facts, our values, and our conscious or unconscious decisions. Some of the consequences may be unintended; and some of the means and ends may be imperfectly differentiated, incompletely related, or poorly detailed. The task of rational decision-making, said Simon, is thus to select the alternative that results in the more preferred set of consequences. the comparison of the accuracy and efficiency of each of these sets of consequences. In the real life situation, however, argued Simon, it is extremely difficult to know all the possible alternatives to choose from, or all the consequences that follow each alternative. Thus, human beings, restricted within the limits of their knowledge, have developed some working procedures that partially overcome these difficulties. These procedures consist of isolating from the rest a limited number of variables and based on them, calculating all possible consequences. Simon applied his work on decision-making into organizational psychology, studying how organizations make decisions. He claimed that one important mark of organizational behavior is authority. Authority is defined in the organizational context as the ability and right of an individual of higher rank to determine the decision of an individual of lower rank. The actions, attitudes, and relationships of the dominant and subordinate individuals constitute components of role behavior that can vary widely in form, style, and content, but do not vary in the expectation of obedience by the one of superior status, and willingness to obey from the subordinate. Authority is highly influential on the formal structure of the organization, including patterns of communication, sanctions, and rewards, as well as on the establishment of goals, objectives, and values of the organization. A specific organization has to explicitly determine and specify in appropriate detail and clear language its own goals, objectives, means, ends, and values. When an organization clearly communicates its goals to its employees, and when employees understand and follow those goals, the decisions can be implemented with greater success. Authoritarian control, on the other hand, will produce nothing but disobedience, and the results of decisions might not be as expected. Simon was a pioneer in the field of artificial intelligence. Together with Allen Newell he created the "Logic Theory Machine" (1956) and the "General Problem Solver" (GPS) (1957) programs. GPS was possibly the first method of separating problem-solving strategy from information about particular problems. Both programs were developed using the Information Processing Language (IPL), developed by Newell, Cliff Shaw, and Simon. Simon also collaborated later with James G. March on several works in organization theory. With Allen Newell, Simon developed a theoretical construct for the simulation of human problem-solving behavior, using production rules. The study of human problem-solving required new kinds of human measurement, so Simon, Newell, and colleagues helped to develop the experimental technique of verbal protocol analysis. Simon was interested in the role of knowledge in expertise. He said that to become an expert required about ten years of experience and he and colleagues estimated that expertise was the result of learning roughly 50,000 chunks of information. A chess expert was said to have learned about 50,000 chunks, or chess position patterns. For his 20 years of work, Simon was awarded the Association for Computing Machinery (ACM)'s A. M. Turing Award, along with Allen Newell, in 1975. Herbert Simon has been credited with revolutionary changes in microeconomics. He is responsible for the concept of organizational decision-making as it is known today. He was also the first to discuss this concept in terms of uncertainty: it is impossible to have perfect and complete information at any given time to make a decision. While this notion was not entirely new, Simon is best known for its origination. It was in this area that he was awarded the Nobel Prize in 1978. At the Cowles Commission, Simon’s main goal was to link economic theory to mathematics and statistics. His main contributions were to the fields of general equilibrium and econometrics. He was greatly influenced by the marginalist debate that began in the 1930s. The popular work of the time argued that it was not empirically apparent that entrepreneurs needed to follow the marginalist principles of profit-maximization/cost-minimization in running organizations. The argument went on to note that profit-maximization was not accomplished, in part, because of the lack of complete information. In decision-making, Simon believed that agents face uncertainty about the future and costs in acquiring information in the present. These factors limit the extent to which agents can make a fully rational decision, thus they possess only “bounded rationality” and must make decisions by “satisficing,” or choosing that which might not be optimal but which will make them happy enough. Rational behavior, in economics, means that individuals maximize some target function under the constraints they face (e.g., their utility function) in pursuit of their self-interest. This is reflected in the theory of (subjective) expected utility. The term bounded rationality is used to designate rational choice that takes into account the cognitive limitations of both knowledge and cognitive capacity. Bounded rationality is a central theme in behavioral economics. It is concerned with the ways in which the actual decision-making process influences decisions. Theories of bounded rationality relax one or more assumptions of standard expected utility theory. Simon claimed that the best way to study these areas was through computer simulation modeling. As such, he developed an interest in computer science. His main interests in computer science were in artificial intelligence, human-computer interaction, principles of the organization of humans and machines in information processing systems, the use of computers to study (by modeling) philosophical problems of the nature of intelligence and of epistemology, and the social implications of computer technology. Some of Simon's economic research was directed toward understanding technological change in general, and the information processing revolution in particular. Simon’s theories in microeconomics continue to be used widely. His proposal of the firm as a "satisficing," rather than "maximizing" agent, is the basis of industrial organization today, and is an integral part of the so-called "New Institutionalist Economics." With his pioneering work on computer simulation models that can solve problems, Simon can be regarded as one of the founders of the field of artificial intelligence. He influenced numerous researchers to continue in his steps. Simon's contributions to research in the area of decision-making have become increasingly mainstream in the business community, thanks to the growth of management consulting. Furthermore, with his work on decision-making, he made significant contributions to the field of cognitive psychology. Simon, Herbert A. 1957. Models of Man. Wiley and Sons. Simon, Herbert A. 1991. “Organizations and Markets.” Journal of Economic Perspectives 5(2): 28. All links retrieved December 20, 2017. History of "Herbert A. Simon"
This page was last modified on 20 December 2017, at 15:04.